On Sunday, Oct. 2, hundreds of bicyclists participated in the 25th Annual Pumpkin Pedal Bike Tour to benefit Special Olympics Illinois. This ride brought out serious riders and families alike. This year’s event saw more than 330 riders and raised $10,045. 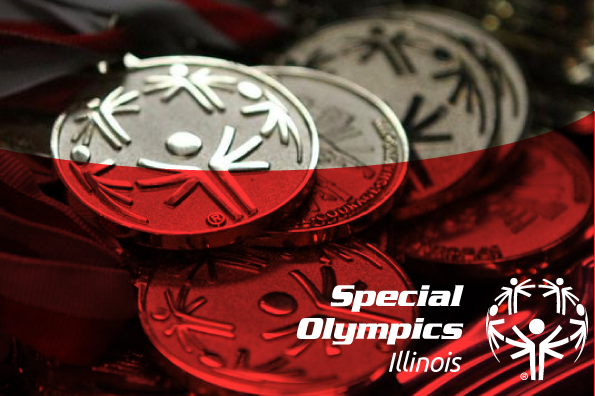 Event proceeds will support year-round training for Special Olympics Illinois athletes. 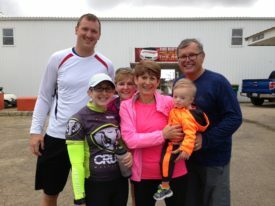 Patty Niemaszyk has been participating in the Pumpkin Pedal for the past six years. A medical volunteer from Athletico examines an athlete’s arm at Volleyball Qualifier A in LaGrange. 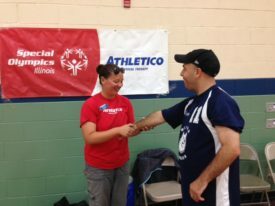 Thank you to Athletico Physical Therapy for providing volunteers to various Special Olympics Illinois events. Athletico provided certified athletic trainers for Far West Suburban/Area 2 and Near West Suburban/Area 5 medical needs on-site for Senior Male Basketball, District Aquatics Meet, bowling, tennis, volleyball, district bocce, Pumpkin Pedal and the 3-6-9 Hole Golf Tournament. Athletico has also lent a hand to North Suburban Cook/Area 18 for basketball, gymnastics, Spring Games, bowling, Unified golf and volleyball events. 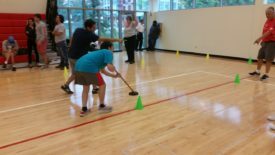 Chicago/Area 3 hosted two regional Floor Hockey Skills Competitions in early October. Due to increased participation, the Area decided to have northern and southern competitions to accommodate athletes across the city. More than 250 athletes competed in the competitions, with the north competition on Thursday, Oct. 6, at Jesse White Community Center and the south competition on Friday, Oct. 7, at Gage Park. Athletes practiced prior to the competition and were then tested on stickhandling, shooting and passing. Athletes who received a gold medal are eligible to advance to State Floor Hockey Tournament on Saturday, Nov. 12, at Northeastern Illinois University in Chicago. The events would not have been possible without the generous support of volunteers! 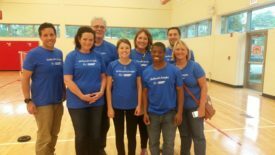 Volunteers from TD Ameritrade, Big Ten Network, Holland and Knight, Schneider Logistics, SoCore Energy and individual volunteers helped time and record scores at each of the skills stations, as well as assisted with distributing lunch and awards. Chicago/Area 3 thanks all volunteers for coming out! Congratulations to all athletes and good luck at state! Let the fun begin! 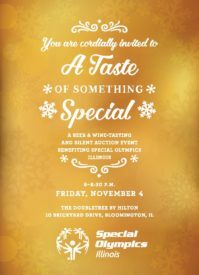 The inaugural Taste of Something Special will be from 6-8:30 p.m., Nov. 4, at The DoubleTree Hotel in Bloomington. The wine/beer-tasting and silent auction event will benefit SOILL Heartland/Area 6. Don’t miss your opportunity to be part of this exciting evening. Tickets are now available for $30 per person in advance and $40 at the door. Ticket price includes 5 drink sample tickets, hors d’oeuvres, desserts and a take-home Special Olympics wine glass. A cash bar is available and live entertainment will provide a festive ambiance. During the evening you can begin your holiday shopping in grand fashion by bidding on many beautiful gifts available in the silent auction. Tickets are available online or by contacting Jordan Vose at 309-888-2678.